Zamba sat quietly under the olive tree and watched the heat dance above the sun baked ground. He looked around cautiously as he caught his breath and began digging at the hard earth with his bare hands. His wrists ached as the rope he was tied with rubbed his flesh raw. He knew they would find him. They always did. And this time the rope would be tied somewhere other than his hands. The ground pulsed and shook as hurried footsteps searched nearby. Zamba increased his pace. A small hole was his only compensation for his painful excavation. It wasn’t enough, but it had to be. As voices and footsteps grew louder, Zamba knelt in front of the hole and inserted his blood and dirt stained fingers deep into his mouth, triggering the loss of his stomach contents. The bile burned as it rose up and spewed out his nose and mouth. He forced more to produce until at last, three small coins lay in the shallow hole. He closed his eyes and whispered a silent plea; then hastily covered the coins in their temporary grave. Zamba reached into the tree as high as the ropes would allow, and tied a leather band from his sandals to a branch that was out of immediate view. He then broke off another branch and drug in the dirt as he re-traced his path to the tree. With his footsteps erased, he ran toward the angry voices, dragging the tree branch behind him. A booming voice filled the air. “Find him! Or it will be your heads on display!” The man roared. At the sound of Matwanda’s voice, Zamba froze. The bravery that was present moments before had evaporated like all of the water in this forsaken village. He searched frantically for a place to hide, but there was nothing left here. Everything had been turned to ash. Zamba ran toward the remains of what was once the shaman’s hut and climbed into the blackened, smoking heap. Sections of the dirt walls stood unsteady around him, but the grass roof and wooden supports were lying in heaps of black. Broken carafes and flasks littered the ground and the smell of potent herbs mixed repulsively with the stench of the burned structure. Zamba crouched down amongst the destruction and searched for something to remove the rope binding his wrists. Zamba noticed the tip of a knife on the floor and moved toward it. As he reached down, a hand, charred and raw, reached out from the rubble. Zamba quickly used the knife to free himself then lifted the section of the collapsed hut to free the man. The unrecognizable man struggled to speak. “Drink.” The living corpse whispered, as he opened his scorched hand producing a small bottle containing an odd colored liquid. Zamba pulled the cork and helped it to the man’s mouth. “You. You must drink. It will save you.” The man wheezed. He dropped his hand and was gone. Outside, Zamba heard men running and Matwanda’s commanding voice. Zamba hesitated, but as Matwanda’s voice boomed outside his hiding spot, he swallowed the potion and waited. His eyes grew heavy and his body sunk to the floor. He awoke to a woman wiping his forehead with a damp cloth. She smiled sympathetically and offered Zamba some water. Alarmed, Zamba groped around his mind for the name. How did he not know his name? Zuri patted his arm, “Just rest,” she said. Zamba sunk back into sleep. The next time Zamba awoke, his head was less foggy. He looked around at the tidy hut. He was laying on a pallet on the floor, inches from the hard packed earth. A woman was moving around outside, in front of the hut. Occasionally he could see her pass the door. He didn’t recognize one thing about his surroundings. Where was he? He tried to get up, rattling a chain he realized for the first time was chained around his ankle. The other end of the chain was hooked to a ring that was embedded in the dried mud of the hut wall. In a panic, Zamba strained against the chain. Zamba didn’t know who Matwanda was. Why did it matter if he heard? From the worried expression on the woman’s face, Zamba decided Matwanda was dangerous though. He stopped kicking and pulling against the chain. It wasn’t helping anyway. He was stuck. “I don’t know,” Zamba said defiantly. “What happened?” he asked in a meeker voice. “Others?” Zamba looked around the hut. Zamba lay back on the pallet and stared at the underside of the hut’s roof, blackened from smoke. “So what happens now?” he asked. “Well,” the woman said softly, “You’re in luck. Matwanda is leaving this morning to go on a raid. He may be gone for weeks. If he thinks you’re still recovering, he’ll leave you here.” She smiled like this was his great fortune. “That’s him!” she said and scuttled out the door. Zamba lay with his eyes closed and Matwanda entered the hut with Zuri. He could feel them nearby, staring down at him. “Will he be worth it?” Matwanda asked with a grunt. “Fine,” Matwanda’s heavy steps receded and Zamba felt like he could breathe again. "Rest now. You're safe for the time being," said Zuri and she scurried out after Matwanda. Zamba heard noises and people outside but he kept his eyes shut in case Matwanda or anyone else came unexpectedly into the hut. He knew the fate that awaited him if someone found him awake and stronger than expected. Eventually, he really did fall asleep and when he awoke the hut was dark and it was quiet all around him. He sat up slowly and looked around the hut. It was empty except for someone laying on a mat near the door. Zamba didn't know if it was a guard or a nursemaid. He couldn't do anything in this light and in his weakened condition, so he laid down and schemed how best to get out of here before Matwanda and his men returned. There would be no hope then. Zamba figured he had one to two weeks before he returned, if he were on a raid. That should give him three days tops to gain back his strength and still give him enough time to get far enough away that Matwanda couldn't find him again. He had to eat and exercise and still look frail enough that the guards wouldn't be overly concerned about him. There was much to do and little time but he needed his rest so he closed his eyes and willed himself back to sleep. In the morning, he woke and the hut was empty. He sat up and decided to try and get out of bed. He needed to relieve himself. He pulled his knees under himself and tried to push himself up off the mat. He didn't have enough strength. He pulled himself up to a standing position using the sides of the hut. He took his first step but stumbled and only remained standing because his arms were still strong and gripping the side of the hut. He realized he was weaker than anticipated and that just getting out of the hut was going to take a lot of time and most of his energy. He slowly edged along the side of the hut wondering why his mat had to be the furthest thing from the door. When he made it to the door, he saw many people moving around the village of huts, mostly women. There were some men left as guards, which he had suspected. They were mostly older and not as agile which is probably why they were left on guard duty. Zamba saw Zuri cooking nearby and called out to her. She hurried over to Zamba. "Let me help you. Where do you want to go? With Matwanda away it's okay to walk around and be with us," said Zuri. "I needed ...uh uh relief," said Zamba with his eyes down and his face red. "Oh, um let me help you get behind the hut and then I will leave you with a walking stick," said Zuri. She helped him behind the hut and handed him a stick that reached to his shoulder. "Call out if you need help returning." Zuri scurried around the hut and waited for Zamba's call. She wasn't about to check on him. She soon heard the slow plodding of his footsteps and peaked around the hut. He was moving slowly toward her, looking closely at the ground so as not to stumble or fall. He soon joined her. "Let's get you some food," said Zuri. She helped him back to the mat in the hut where Zamba refused to lay down but rather wanted to sit up. "I need to gain back my strength," Zamba said. Zuri brought him some food and they talked. "What will you do when Matwanda returns? If you are strong enough he will sell you into slavery." asked Zuri. "I know. I have a plan," said Zamba, for that was all he was going to tell her. He didn't want her stopping him and he didn't want her in trouble for helping him. He spent the next three days resting, eating and gaining his strength back. He started out walking by himself around the hut and worked himself up to walking the length of the village. He was allowed free reign to walk as everyone wanted him strong so he could be sold. By the end of the third day he knew he was strong enough to escape if he had a few days advance on Matwanda. Regardless, he knew tonight was the night to go. Zuri brought in Zamba’s dinner that night, a bowl of thin soup with chunks of vegetables and a handful of hard biscuits. Gratefully he took the food, unsure of when he would be able to eat next. She then reached into a pouch hung across her chest and produced a melon and another handful of biscuits. “I thought you might be extra hungry tonight,” she said, and there seemed to be some meaning hidden behind her words. She placed the food on Zamba’s mat and headed for the door. “Thank you,” he called after her. Turning in the doorway, Zuri gave him a small smile and left. The pouch which had been hung around her chest was swinging from a jagged nail next to the door. Zamba hurried to the doorway and peaked out. No one was around. He took the pouch back to the mat with him. Upon closer inspection, inside the pouch he found a small flask of water and a flat rock about the size of his hand. One of the edges was broken and jagged, like it had been beaten until a sharp edge was formed. It was the closest thing to a knife that Zuri could have given him. He replaced the precious stone back inside the pouch, along with the melon and all the biscuits, and hid it in a dark corner of the hut. He then ate the bowl of soup, knowing that he would need all the strength he could get for this journey. Several hours later the camp was dark and quiet. Everyone was inside their huts. Zamba waited until he could no longer hear the soft murmuring of people preparing for bed. The guard who slept outside Zamba’s door was snoring loudly, interrupted occasionally with a grunt. He started to get a little louder, groaning in his sleep. Suddenly, he sat upright, swearing loudly, and took off running in the direction of the pit that the camp used for their latrine. Zamba decided that it was now or never. He had to take the opportunity to escape while the guard was gone. Zamba tied on his sandals and slung the pouch of food across his chest. Carefully, he left the hut in a crouch. His hut was on the edge of camp, so he didn’t have far to run into the surrounding brush. He quickly ducked behind the nearest shrub, looking around to check if anyone saw him leave. The camp was still quiet. Looking up at the bright moon that was shining overhead, Zamba uttered a silent prayer of thanksgiving. He then began to head toward the dark expanse in the distance, which looked like it could be a mountain range. There would be more places to conceal himself there, as well as vegetation that he could try to eat. It didn’t take long for Zamba to feel the extent of the weakened state that he was still in. He knew that he had to get as much distance between himself and the camp as he could, otherwise the guards would surely find him in no time. He concentrated on taking one step after the next. Another step. And another. Just make it to that tree, then you can rest, he told himself. He was strict and kept his rest to only a few minutes, then he was off again. Get to that rock, then you can rest…. The pattern continued for hours. The water in his flask was long gone. Zamba was sure that he had only gone a few miles when the gray light of morning began to color the scruffy shrubs that he drug himself past. He was never going to make it. The mountains were so far away and he was so tired. A large olive tree seemed to beckon him near. Zamba approached the tree, its low hanging branches brushing the tops of several scraggly shrubs. He couldn’t go any further. He collapsed on the hard earth and leaned against the scratchy trunk. Before he knew it, he was fast asleep, exhaustion taking over his impulse to run. Zamba opened his eyes again. He was lying on the ground under the large branches of the olive tree, his head cradled in his arm. The sun was blisteringly bright overhead, yet he was protected under the shade of the olive tree. Not two feet away was a little bird looking at him curiously, its head cocked to the side. Its back was a soft green and there was a soft yellow spot at its throat, with a black mask marking across the eyes. It was a Little Bee Eater. It gave a soft chirp then hopped off. Zamba started to sit up, but immediately stopped when he heard voices nearby. They were rough men’s voices, interspersed with the loud cracking of machetes breaking through the dry brush. Zamba held his breath. What if it was Matwanda’s men? What would they do if they found him here? He slid himself as far under the scratchy shrub as he could, hoping that they would not come in the direction of the tree. Zamba peered up into the filtered sunlight as he hid under the tree, silently moving his lips in a prayer that the men would not come near his hiding place in the brush. His eyes focused on a leather strap tied around a low branch that swung back and forth in the slight breeze. Zamba felt like there was some significance to the leather strap, but he could not pluck the reason from his murky memory. As he lay silently, he could hear Matwanda’s men moving off to the distance. Zamba reached into Zuri’s pouch and pulled out some food so that he could revive himself. He found that his fear began to subside a little as the men moved off--enough so that he didn’t feel paralyzed by it. His rest under the tree had done him good. As twilight fell, Zamba hoisted himself up and with the aid of his walking stick continued on toward the mountains. Zamba somehow forced himself to walk through the night. The first pink shades of sunrise had begun streaking the sky as Zamba dragged himself through the brush and up the incline that signaled he had obtained his goal. His energy was depleted; he knew he would need to rest and looked for a place to hide himself again, hopefully someplace that Matwanda’s men could not find him. He was too depleted to worry about covering his tracks. As the day dawned, Zamba fell into an exhausted slumber. A woman’s face obscured the sky and broke into a wide grin as Zamba jerked awake. The suddenness of her appearance would have caused him to scramble backwards to escape if he were not already immobilized by lying on the ground. Her smile seemed to tell Zamba that she was not to be feared, but he didn’t know what to think--there were so many unknowns already. “Zamba,” the woman murmured and bent down to brush her lips across his cheek. Zamba slowly let the terror he had held for days begin to drain out of him. There was something familiar and comforting about this woman’s touch. The intimacy with which she smiled at him and said what he presumed to be his name was like a salve to both his body and soul. “Can you walk?” she asked, standing up and reaching a hand down to him. Zamba didn’t know, but was willing to try for this woman. “The others are hidden above us. We let you sleep during the day. It was too risky to come for you before the daylight started to fade. I volunteered to come.” With the woman’s help, Zamba was able to rise to his feet and between her support and his walking stick, he wound his way up the mountainside. The woman knew where she was going. It felt so good to Zamba to allow someone else to make decisions now. They did not speak as they ascended. Eventually, the woman guided him to an outcropping of rocks. They squeezed through a small opening and descended into a small gulley which then opened up into a shallow valley with high overhanging walls. The location gave excellent shelter. It would be easy to hide from anyone searching for them from above. The woman called ahead and others came running to help them at the end of their journey. The group welcomed him heartily and brought food. The meal was simple, consisting only of what could be scavenged from the mountains, but Zamba was grateful for it. The group bided their time as Zamba ate, but as soon as he was done, they began to pester him with questions. But Zamba had more questions for them than he was able to answer. Zamba’s life began to take form as his fellow villagers described his life to him. What they explained to him sounded solid and plausible, but his own memories of these times seemed to flicker just beyond his mind’s reach. He felt closer to recovering his life than he had for days though, with the woman sitting close beside him and the other villagers smiling and taking care of him. Matwanda and his men had been a threat for years, occasionally raiding the village or kidnapping those who wandered outside the safety of the village. But, Matwanda’s latest raid had been an all out assault. He had stolen supplies, burned what remained and either kidnapped or scattered the people. This small band in the safety of the mountains had miraculously escaped the destruction and found one another as the raiders abandoned the site. None of them suffered from the lack of memory that plagued Zamba though. 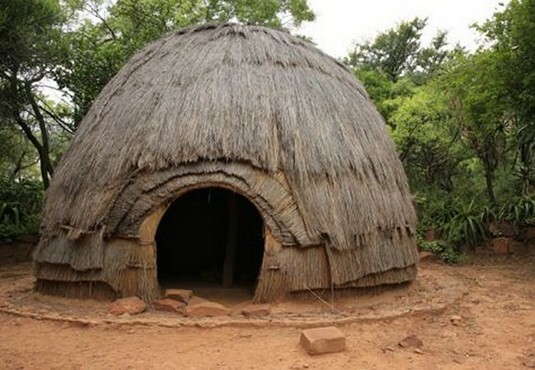 Zamba discovered that he was apprenticed to the shaman and it was to this hut that Matwanda had first descended upon the village. The other villagers had seen Zamba bound with rope and dragged out of the hut before everything was set on fire. It was hard for them to believe that Zamba had survived and was with them now. They suggested that either beatings or sorcery on Matwanda’s part had caused Zamba to lose his memory. They also told him that Zamba had been given the charge of safeguarding the village’s coins and looked heartbroken to find that Zamba had no idea what had happened to them. Zamba hated to see their looks of dismay as he told them that he supposed the coins were likely now in Matwanda’s possession. “Yes. She fed me the night I left and gave me a flask of water to travel with. The remaining food is in the pouch she snuck to me.” Zamba looked at the woman with wide, perplexed eyes silently asking the relevance of the question she posed. She was biting the corner of her lip and lost in thought. She paced slowly around Zamba muttering something under her breath. The woman knelt by Zamba, and reached for his hand. There was a kindness in hers eyes, a look that calmed Zamba. “Where is the bag Zamba?” She asked. “I left it there…by the entrance…” Zamba pointed to the overhanging rocks that he had passed under only a short while ago. He looked down feeling ashamed and added, “In case I needed to run…” The woman sent a man she called Musa to retrieve it. He quickly heeded her request and recovered the pouch far faster than Zamba thought possible. Musa gingerly laid the bag in front of the woman and bowed slightly. She waved him off and turned to Zamba. Curiosity flickered in her dark eyes and she dumped the contents into Zamba’s lap. The rock and flask clanked together and the small melon thudded as it rolled off his lap and onto the soft dirt. The last thing to fall out was a crumbling biscuit. Zamba watched as the woman inspected each of the items carefully. She turned the melon in her hands searchingly and sliced it open with the rock. “Nothing.” She clicked her tongue and mumbled as she handed the pieces to hungry villagers. She shook the flask and peered inside. “Empty.” She shook her head and pursed her lips. She eyed the biscuit and cautiously lifted it up. Her lips moved silently as she uttered an inaudible prayer. She closed her eyes and crumbled it slowly between her worn, cracked fingers. Bits of bread littered the ground and a soft warm breeze lifted them up and made them dance before carrying them away. Zamba looked to see where the breeze could have come from, but the wind was gone as quick as it came. The woman wore the same soft smile she had offered when she first found Zamba sleeping. She extended her fisted hand towards Zamba. Anticipation swelled within him inexplicably. One by one, she peeled her fingers from her palm. Zamba’s eyes widened as she revealed a tiny vial of an odd colored liquid. Something stirred in the darkness of Zamba’s mind. A memory he could not surface…but he knew what the woman would ask of him before she spoke the words. Zamba’s eyes darted under his closed lids as pictures filled his mind. 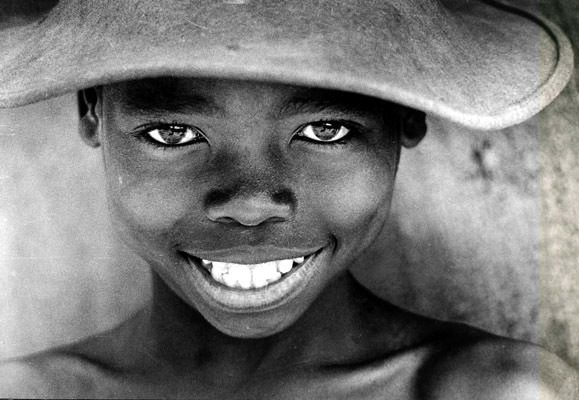 A boy playing stickball with a smile too large for his small face…men carrying torches and shouting…a mother and father screaming for him as their hut catches fire…the boy again…older now, missing the smile…he sits with an old shaman practicing his trade….the shaman shows him three small coins and places a seed in the boys left hand and a mature plant in his right…the old man places the coins next to the seed and whispers quietly…it blooms instantly….he places the coins next to the fully grown plant and whispers again…the plant turns to ash….the boy makes an oath to protect the coins with his life…the men with torches return…the boy swallows the coins as voices near…he is pulled from the shaman’s hut and carted off to be sold as a slave…he hears a man demanding the coins from the shaman…the boy watches smoke fill the sky as he is carted away…. Just before dawn, Zamba bolted upright in a deep sweat; his heart racing. He groped in the darkness for his sandals and for the rock Zuri had given him. He quickly tied his sandals to his feet and snuck past the woman with the sweet smile-Notori, the shaman’s wife. He was thankful to once again remember the woman who took him in after his parents died. Zamba descended the mountain as though the devil himself was chasing him. The sun was rising and the air was thick and heavy. A soft breeze was stirring the dust around Zamba as he raced to the olive tree. The relief he felt as he reached the tree was only temporary. The leather band swayed gently above him, but Zamba gasped as he looked down. The earth around the tree was full of holes. Zamba fell to his knees and sifted through the loosened clay. “Have you lost something slave?” Matwanda laughed as he shook the coins in his hands. “You are an insignificant boy. But you are correct. I haven’t found the secret words to speak.” A sinister smile spread across Matwanda’s face as he motioned for one of his men. The brute drug a heavy bag behind him and threw it at Matwanda’s feet. “But…you will tell me. I’m sure of it.” He reached into the bag and pulled a young girl out by the hair. Zamba’s heart raced. “We have an agreement.” He sighed heavily and knelt before Matwanda. Zamba pulled the rock from his pocket and weakly said, “Hold out your hands Matwanda and I will show you.” Matwanda narrowed his eyes but complied. Zamba placed the rock in Matwanda’s left hand and told Matwanda where to place the coins. He closed his eyes and hesitantly whispered the words that his mentor and friend had taught him. The rock shattered in Matwanda’s hand leaving hundreds of small diamonds in its place. Matwanda seemed to enjoy watching the pain he was inflicting on both his sister and Zamba, but was growing impatient. “I have agreed to your terms, now fulfill your end of the bargain,” he boomed. “Hold the three coins in your right hand and clutch your heart Matwanda. I will teach you more, but you must not move.” Matwanda’s lips curled into a proud, devious smile as he waited for his reward. Zamba hung his head and whispered the ancient words again. Matwanda began to laugh as he felt the power surge through him. It flowed slowly, powerfully, from the coins he clutched in his hand, up his arm until it reached his heart. “I feel stronger! Invincible!” he exclaimed. But as the sensation continued, his smile faded and his eyes grew wide. He gasped for breath and begged for help. Matwanda’s followers fled out of fear and Zuri covered her ears as he wheezed his final pleas. Zamba felt the weight of his calling as Matwanda slowly turned to stone and then crumbled before his feet. He had never wanted to be the cause of someone’s death. Even someone deserving of it. It was a bitter-sweet victory. His eyes were wet and his heart heavy as he combed through the rubble. Small diamonds littered the ground amid the debris. Zamba made a mental note to have the displaced villagers come and collect them. They could rebuild their village with the proceeds, but Zamba could not bring himself to linger longer and collect them. He brushed through the debris quickly until he found what he was looking for. Under Matwanda’s stone heart lay the three small coins. They shined as bright as the diamonds and were warm to the touch. Zamba ripped a strip of fabric from his shirt and wrapped them up carefully before putting them in his pocket.